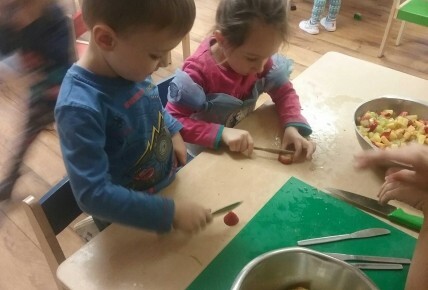 Today, Sunflowers enjoyed learning about how good fruit is for our bodies and how it helps us to stay healthy. 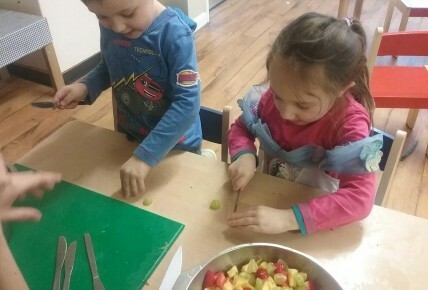 Sunflowers have also been practising their dexterity skills with supervised cutting of fruits to make a delicious Fruit Salad - yummy ! 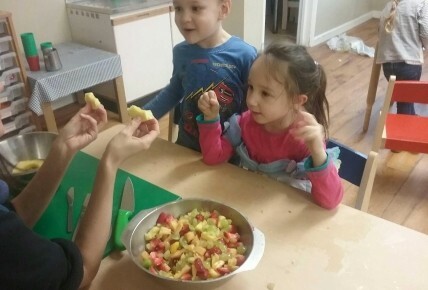 The children were very open to trying all kinds of different fruits including star fruit and passion fruit. We certainly need our extra vitamins at this time of year to ward off those colds and flu !